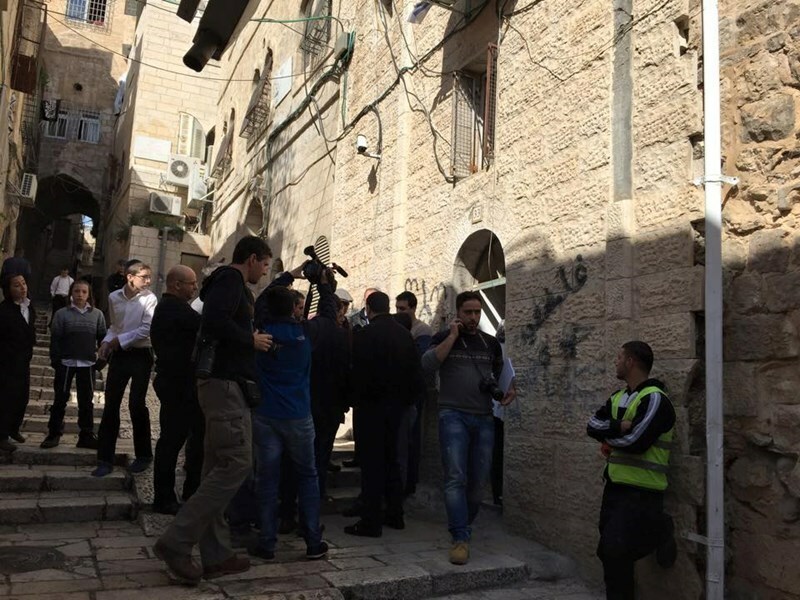 Settler groups tried to take over a Palestinian-rented house of Sub Laban family in Jerusalem Old City’s neighborhood of Aqabat al-Khalidiya Monday morning in the presence of the Israeli police, local sources said. The settlers demanded immediate eviction of the house under the claim of being owned by Jews according to a decision of the Israeli Jerusalem District Court. Tensions have been running high as dozens of Israeli settlers arrived at the scene and attempted to evacuate the Sub Laban’s house by force amidst heightened presence of police, locals, and foreign peace activists. The spokesman of the neighborhood Basim al-Qadoumi told QPress that the house is located within a historic building dating back to the Ottoman and Mamluk era. The Sub Laban family has inhabited the house for a very long time as the family rented it before 1967, he added. The tenant along with a group of foreigners and locals are sitting-in inside the house in solidarity with the family which refuses to evict its home. The Israeli Jerusalem District Court postponed Monday noon the eviction of the house until May. Israeli police raided the house early morning and ordered the Sub Laban family to evict it, granting them only ten minutes to leave the apartment. The evacuation was delayed following attempts by the family’s lawyer who managed to delay it for two hours in a successful attempt to obtain a court ruling to halt the eviction. Jewish settlers last February attempted to evict the house, claiming that the house belongs to a Jewish family and that settlers have the right to inhabit it instead of a Palestinian family. Rafat Sub Laban said his family rented the house in 1956 from Jordan’s then Custodian of Enemy Property (CEP), 11 years before Israel occupied the eastern part of Jerusalem. The house was originally owned by Jewish migrants before the CEP assumed control of Jewish-owned property upon the Israeli-Arab war in 1948. The Jordanian Custodian of Enemy Property was established to handle property taken from Jews in the West Bank in 1948. In 1967, this function was disbanded. The Jewish organization Ateret Cohanim filed a lawsuit at the Israeli magistrate court to seize the property one year and a half ago, and won it. Nevertheless, the family appealed the decision before the District Court, which is due to return with a verdict on May 31, 2015. It is not the first time that settlers raid Arab houses in Occupied Jerusalem for evacuation purposes. More than 20 housing units have recently been taken over forcibly by Jewish settlers in Silwan neighborhood. Several Israeli military vehicles, and armored bulldozers, invaded on Wednesday morning Barta’a village, west of the northern West Bank city of Jenin, and demolished a brick factory. 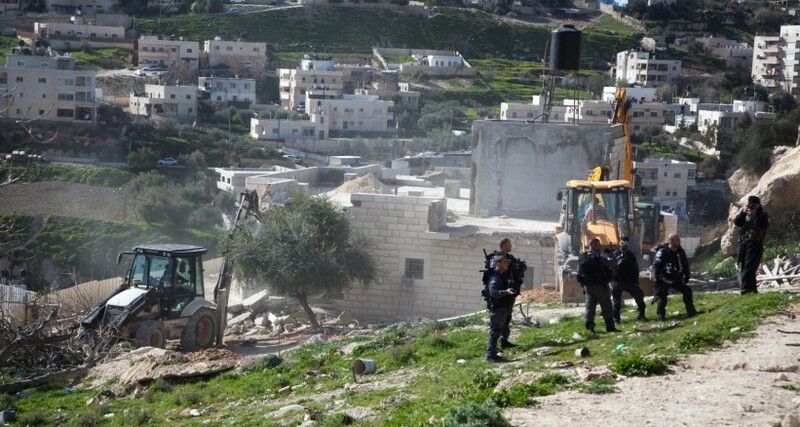 Tawfiq Qabaha, member of the Barta’a village council, told the Radio Bethlehem 2000 that more than twenty military vehicles, and bulldozers, invaded the village and demolished a factory belonging to resident Jabr Awad. The soldiers surrounded the entire area, and declared it a closed military zone, before demolishing the factory. Qabaha said the factory was more than 350 square/meters, and that the losses are estimated by 200.000 New Israeli Shekels. 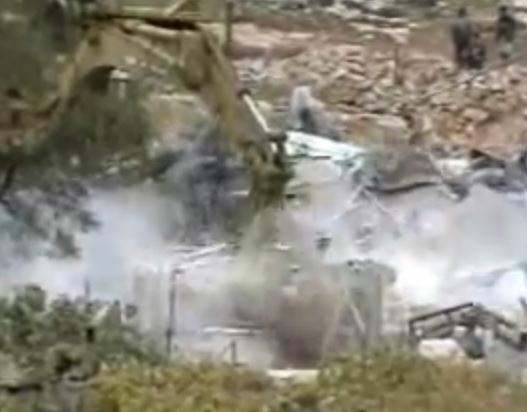 The Israeli Occupation Forces (IOF) demolished Wednesday morning a Palestinian-owned factory and steel structure in Barta and Zebda towns southeast of Jenin. 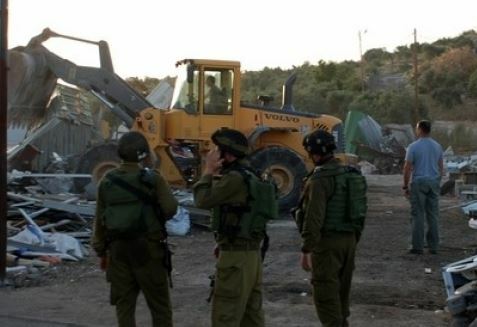 The PIC reporter said that IOF soldiers stormed since the early morning hours Barta town, isolated behind the separation wall, and demolished a factory under construction. Local residents were brutally assaulted during the demolition process, the sources added. The IOF soldiers surrounded the area and were heavily deployed at the town’s entrances before demolishing the factory under the pretext of being built without permit in area C (under full Israeli civil and security control). 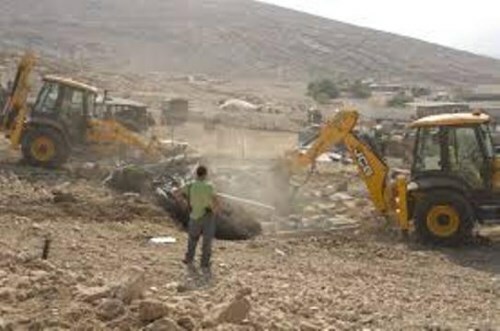 Several Palestinian facilities were recently demolished in the town as part of the Israeli policy to prevent the horizontal expansion in the town. On the other hand, IOF soldiers demolished a steel structure used by local farmers as livestock barns in Zebda town to the south of the city. Israeli occupation forces this morning have bulldozed wide lands for Palestinians from Al-Issawiyya village in East Jerusalem. 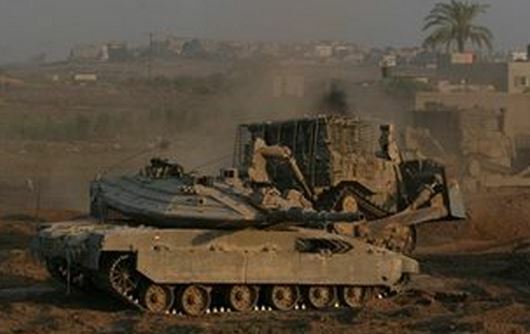 Sources said that a big number of soldiers started bulldozing the lands following the break in. One of the landlords said that the bulldozers were accompanied by the authority of nature and antiquities, in addition to the municipality, heavily guarded by private units broke into the land and immediately began bulldozing without giving any notices or explanations. The demolitions lead to clashes between the youngsters and Israeli forces. Israeli authorities have more than once declared intentions to build National park on lands between Al-Issawiyya an;d Al-Tur (Olive Mt. The bulldozers demolished fences and barracks that are owned by a number of families. Witnesses said that Mohammed Badriyya (70) was one of these owners. His health deteriorated after Israeli forces demolished his barrack with the poultry inside it. Israeli forces following the demolition formed Security cordon and blocked the owners from approaching. The bulldozing carried on without any explanation given. Member of Al-Issawiyya follow up committee, Muhammad Abul Hummus warned of these demolitions and theft of land for constructing a national park on about 740 dunums of Al-Tur and Issawiyya. EU condemns destruction of structures put up on outskirts of Arab neighborhood of Issawiya, inhabited by Bedouin communities. Israeli authorities on Tuesday demolished an EU-funded shelter in Arab east Jerusalem, the European Union said, denouncing the move. EU funds have helped to pay for some 200 temporary buildings used as shelters in villages inhabited by Bedouin communities in the West Bank, just outside Arab east Jerusalem. The structures demolished on Tuesday were small metal constructions put up on the outskirts of Arab neighborhood Issawiya, an AFP correspondent said. The area was empty of residents following the demolition by bulldozer. 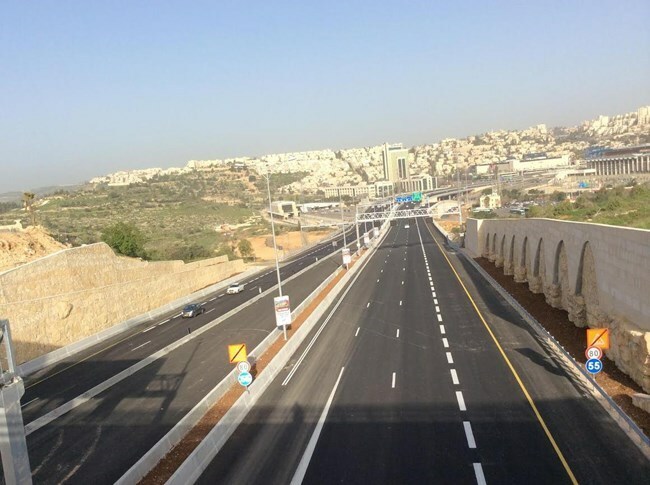 Jerusalem's municipality was not immediately available for comment. A spokesman for Regavim, a rightwing lobby group, said the move was unusual. "This doesn't happen every day, and it certainly doesn't happen to EU buildings," Avi Hyman told AFP. Israeli authorities regularly demolish structures inhabited by the Bedouin in the West Bank, and have tried to move communities into housing planned by the state. 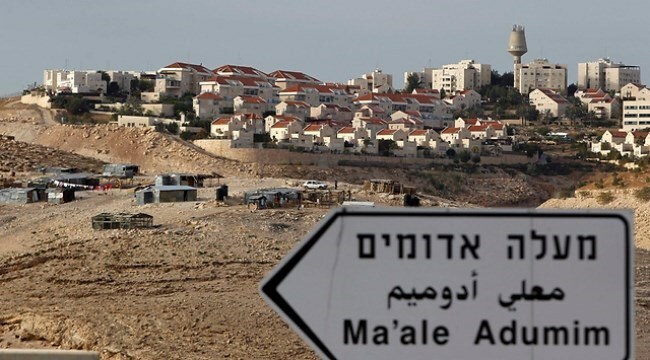 Activists say Israel is deliberately displacing the Bedouin in order to build settlements in the area of the West Bank just outside east Jerusalem. That effective annexation of a corridor running through the middle of the West Bank would make the creation of a contiguous Palestinian state impossible. Israeli Occupation Forces (IOF) razed Tuesday morning seven Palestinian houses in northern Jordan Valley. Eyewitnesses told the PIC reporter that the IOF stormed the area long with three army bulldozers and announced it a closed military zone. The eyewitnesses revealed that the Israeli bulldozers completely destroyed seven houses which were providing shelter to more than seventy individuals mostly women and children who have now become homeless. The demolition process has been implemented amid the presence of many pressmen and foreigner activists. The IOF soldiers, however, barred the journalists from approaching the area during the destruction process. The IOF notified the houses’ owners of the demolition order one month ago under the pretext that the houses were built on lands owned by Israel. The owners, for their parts, confirmed having official documents that prove their ownership of the lands. 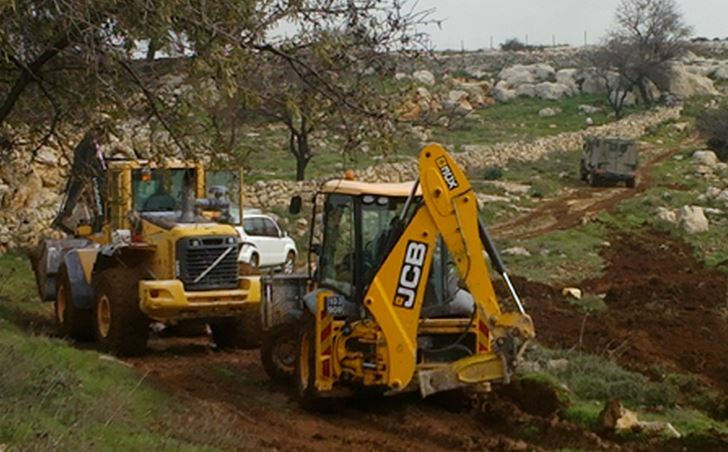 Israeli soldiers bulldozed large areas of Palestinian lands, in Kisan village east of the West Bank city of Bethlehem, to build an “industrial zone” that would serve near illegal Israeli colonies. 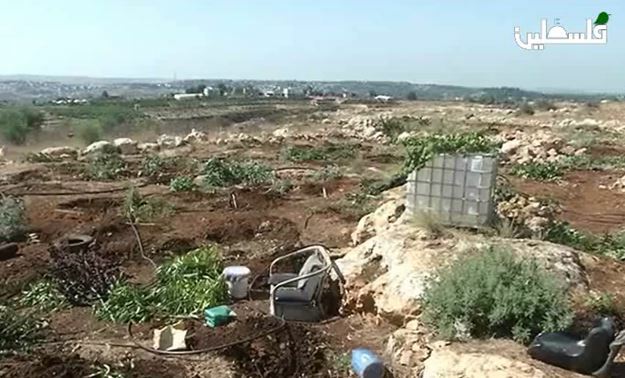 Hussein Ghazal, head of the Kisan Village Council, told the WAFA News Agency that the soldiers bulldozed, during early morning hours, large areas of Palestinian agricultural lands near the northern entrance of the village. The lands belong to residents of Sa’ir town near Hebron, and members of the ‘Obeyyat family in Bethlehem. Ghazal said the destruction targeted large areas of Palestinian farmlands, and that Israel intends to bulldoze and uproot more than 600 Dunams (148.26 Acres) to build an Industrial Zone that would serve illegal Israeli colonies. 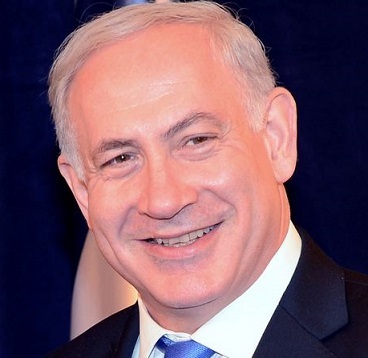 He added that the Israeli plan would completely isolate the village, as it will become fully surrounded by Israel’s illegal colonies. Several Israeli military vehicles, and bulldozers, invaded the al-Jaroushiyya village, north of the northern West Bank city of Tulkarem, and demolished a home belonging to a local judge. The soldiers surrounded the home of Justice Kifah ash-Shouly, a judge in the Appeal Court in the central West Bank city of Ramallah, demolished his property and the walls that surrounding it. The judge told the WAFA Palestinian News Agency that the demolished building was a 120 square/meter two-story home. He said he was still building his home, and stopped the construction two years ago, after the army ordered him to do so, under the pretext it was being built without a permit. Since then, the soldiers never contacted the judge until they came to demolish his property. 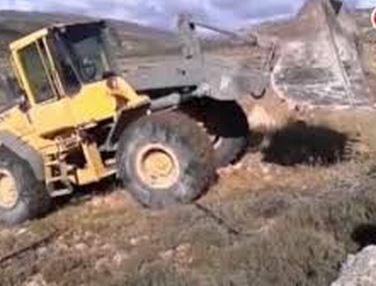 Israeli military bulldozers uprooted large areas of Palestinian farmlands, east of the northern West Bank city of Nablus, and uprooted more than 300 Olive trees. Army invades a construction company in Hebron, and nearby towns. Ghassan Daghlas, a Palestinian official in charge of Israeli Settlements file in the northern part of the occupied West Bank, said the soldiers bulldozed dozens of dunams of farmlands, in the al-Lahaf area, east of Nablus. Daghlas added that the soldiers uprooted and cut more than 300 olive trees, and bulldozed large areas, planted with wheat and barley. The lands belong to many Palestinians; some of them have been identified as Naji Hamdan, Mahmoud Eshtayya, Najeh Eshtayya, Sharif Eshtayya and Mohammad Eshtayya. In addition, soldiers stormed a construction company, belonging to resident Fuad ash-Shamessly, in the southern West Bank city of Hebron, and violently searched before confiscating several filed and documents. The soldiers also invaded a number of neighborhoods in the city, in addition to the towns of Doura, Halhoul, Yatta and as-Sammoa’. Furthermore, the soldiers installed roadblocks on the northern entrance of Hebron, and near Sa’ir town, before stopping and searching dozens of cars, and investigated the ID cards of the passengers. Dermer, currently Israel’s Ambassador to the United States, allegedly informed Quartet Committee head Tony Blair “Israel does not only want to grant the Palestinians a state, but also one along the 1967 border." Several Israeli military vehicles, accompanied by two armored bulldozers, invaded Kisan village, east of the West Bank city of Bethlehem, bulldozed and uprooted Palestinian agricultural lands. Hussein Ghazal, head of the Kisan Village Council, said a large military force surrounded the village before invading it, and uprooted lands near its northern entrance. Ghazal added that the lands belong to residents from Sa’ir town, near Hebron, and the Bethlehem family of ‘Obeyyat. The official said Israel is trying to illegally confiscate the Palestinian lands to build factories that belong to nearby illegal colonies, adding that the Israeli plan would isolate the village from its surrounding Palestinian areas. Kisan has been subject to repeated Israeli military invasions that included uprooting farmlands, home invasions and arrests, in addition to destruction of homes and other property.